How many U.S. presidents can you name? For most people, researchers have found "the first couple are remembered, Washington, Adams. And the last couple. Obama, Bush, people like that. But then nothing in between." New York University’s Pascal Wallisch studies what’s called neural data science—dealing with the huge amounts of data that come with studying neuronal activity. And he says our recall of presidents is governed by two factors: what’s known as the primacy effect—who came first—and the recency effect—who's been around lately. He and his colleagues wanted to see if the same type of cultural memory pattern would hold true for pop music. "The question was, is there a cultural horizon, or event horizon, at which point knowledge drops to zero?" So his team asked more than 600 volunteers—most of them millennials—to listen to snippets of Billboard number one hits from 1940 to 2015, and to say whether they'd heard the songs. But then the recency effect stalled. 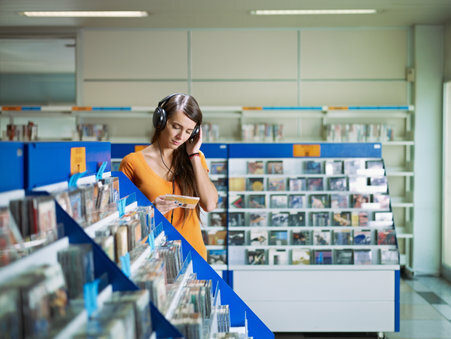 Because rather than continuing to drop in recognition back through the '90s, '80s, '70s and '60s, songs in that 40-year period saw a steady plateau of recognition among the listeners. Within which was noticeable variability in song recognition, despite the fact these were all number one hits in their day. It's not clear why the study subjects remembered what they did—whether music from the late 20th century had something special about it, or if maybe over-the-air radio DJs influenced the result. "These are great questions. And I think they're probably best addressed by doing this in another 30 years when radio's been gone. And then we'll see what's stable and not stable about this." As for Wallisch? "I listen to the softest pop you can imagine." And, an even more obscure genre: "I like to listen to my data." <data music sample> Digital music is just numbers, after all, and with certain programs you can analyze your data by listening to it. Just don't count on all those numbers turning into number one.